The biggest and the baddest among meat-eating dinosaurs, Spinosaurus may have also been the first dinosaur to take to the water, swimming in North Africa's rivers some 97 million years ago. 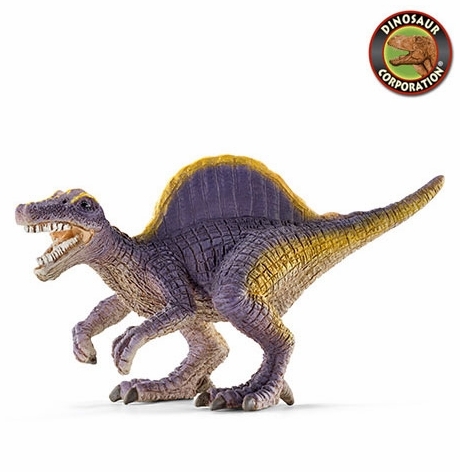 Spinosaurus was the largest carnivorous dinosaur that ever lived, even bigger than Giganotosaurus and Tyrannosaurus. This dangerous carnivore weighed several tons and could be up to 17 meters long! The Spinosaurus had many sharp, straight teeth in a crocodile-like mouth. His meals usually consisted of other dinosaurs or fish. The smartly designed sail on his back fulfilled several functions. It probably helped the cold-blooded dinosaurs to vital temperature regulation by collecting or distributing heat. It also served to impress potential mating partners.